POSCO-VST, POSCO’s manufacturing subsidiary in Vietnam, was selected as Vietnam’s Top 10 Companies for Consumer Rights Protection this year – the annual award recognition is jointly administered by Vietnam Economic and Cultural Office which is under the auspices of Ministry of Science & Technology of Vietnam and Consumer Protection Association. In 2009, POSCO merged the local cold-rolled manufacturer ASC and established POSCO-VST to acquire and expand the stainless steel market across Southeast Asia. POSCO’s subsequent investment boosted the company’s annual production capacity to 235,000 tons, thereby solidifying its position as the number one stainless steel cold-rolled product manufacturer in Vietnam. The award ceremony was held at Vietnam Performing Arts Center on March 31. One hundred companies who advocated for consumer rights attended the event – as one of the Top 10 companies, PSCO-VST was also present to collect the award certificate and medal. POSCO-VST’s top-quality stainless steel cold-rolled products and customer services contributed to the expansion of steel-consuming industry in Vietnam. In 2018, the company hosted a seminar on the stainless steel industry, together with the Vietnam Standards and Consumers Association (Vinastas ). There, POSCO-VST showcased high-quality stainless steel that can help provide safe and sanitary water for the public. POSCO-VST’s effort eventually led to its selection as the ‘Top 10 Companies for Consumer Rights Protection’ for contributing to the improvement of public health in Vietnam. The award ceremony was live-broadcasted through channel H2, Vietnamese major public broadcaster. The Vietnamese Consumers Association will also feature POSCO-VST’s logo on its homepage for one year. Publicity through such prestigious organizations is likely to boost the company’s profile in the country. 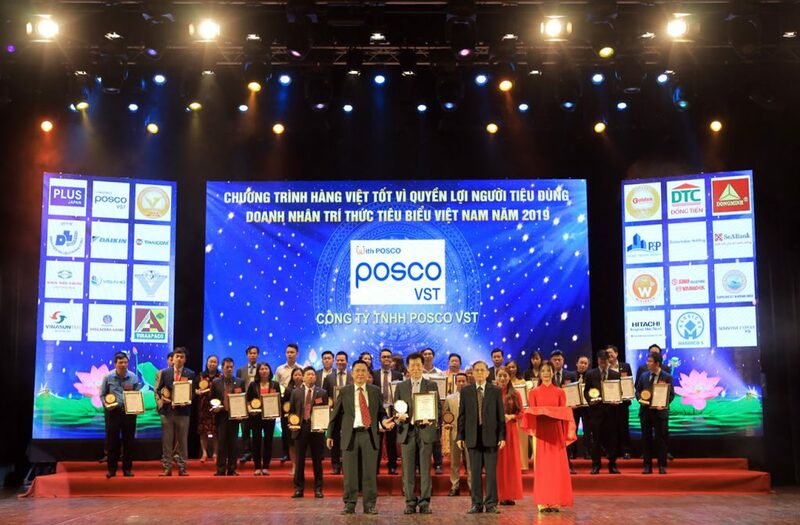 Propelled from the various professional connections built at the award ceremony, POSCO-VST plans to further-strengthen its public profile in Vietnam.